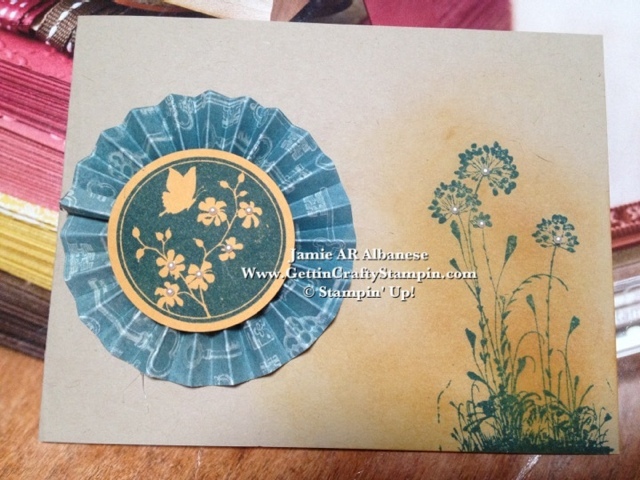 Getting Crafty with Jamie: Serene Silhouettes get a Fan Fair! Serene Silhouettes get a Fan Fair! I hate it when things get lost! Wanting to make a card for my friend's daughter I went looking for one of our new stamp sets but I think the baby has move it as I was unable to find it! Ugh!! I wanted to make Nicole a card with sandy colors and greens, yellows or blues! The Fan Fair paper was calling meeeee... So I nabbed Crumb Cake cardstock, More Mustard cardstock and Island Indigo blue ink! This rich blue is sooo yummy! 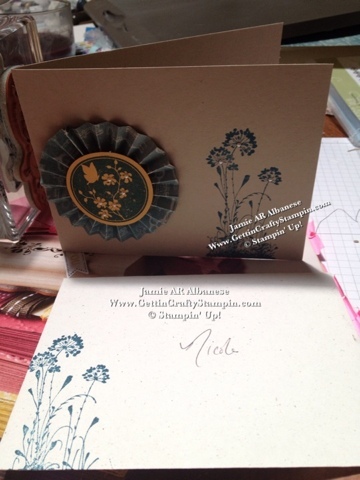 I wish changed it up by sponging more mustard behind the flower on one card. With our Simply Scored board I was able to score this in seconds, used hot glue to adhere the scored "lolly". I then applied the Indigo ink on the More Mustard cardstock that I'd punched out! The lil pearls just sweeten the card!! Love it! 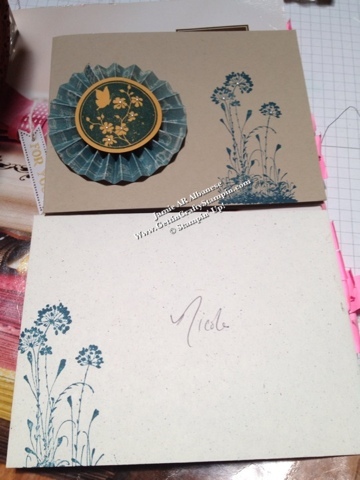 An easy and sweet card that I hope Nicole likes and knows how much she is missed!